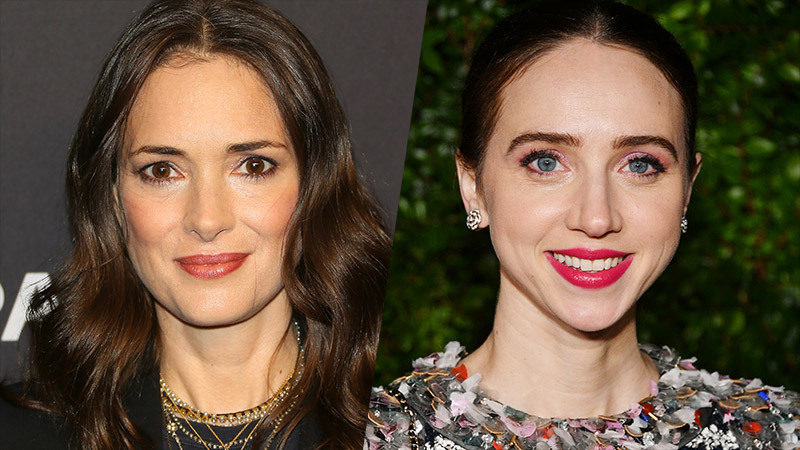 Winona Ryder (Stranger Things), Zoe Kazan (The Ballad of Buster Scruggs), Morgan Spector (Homeland), Anthony Boyle (Harry Potter and the Cursed Child), Azhy Robertson (Juliet, Naked), John Turturro (The Night Of) and newcomer Caleb Malis have all joined HBO’s six-part miniseries The Plot Against America, Deadline has confirmed. Based on the novel by Philip Roth, The Plot Against America miniseries imagines an alternate American history told through the eyes of a working-class Jewish family in New Jersey as they watch the political rise of Charles Lindbergh, an aviator-hero and xenophobic populist who becomes president and turns the nation toward fascism. Ryder portrays Evelyn Finkel, the unmarried older sister to Bess. Her plans have been arrested by 10 years of caring for her infirm mother and is hungry to find her own place in life. The sudden attention of a key Lindbergh supporter — the politically ascendant clergyman, Rabbi Lionel Bengelsdorf — are exhilarating and transformational for her. Kazan is Elizabeth “Bess” Levin, an insightful mother and homemaker who fears for the future as she tries to protect her family from the escalating political climate while planning a possible escape for the forces that seem to be threatening her world. Spector will play Herman Levin, the proud and opinionated father who works as an insurance agent and tries to maintain normalcy in the life of his family and friends even as his country seems to be slipping into fascism, anti-Semitism and xenophobic isolationism. Boyle is Alvin Levin, the angry and intelligent orphaned nephew to Herman who allows political differences with his family, personal grudges and resentments, and his own abhorrence of hypocrisy and cant to drive him from street crime to the battlefields of Europe and back. Robertson portrays Philip Levin, the youngest of the Levin family who copes with his own innocent curiosity and growing anxiety in a world that seems to be collapsing around him, both at home and in the streets. Malis is Sandy Levin, the Levin’s artistic teenage son who rebels against his family and his father in particular as his adolescence becomes entangled with his growing admiration for Lindbergh — a stance encouraged by his beloved Aunt Evelyn’s guidance. Turturro portrays Rabbi Lionel Bengelsdorf, a conservative rabbi and a transplant from Charleston, S.C. where he gained his first synagogue pulpit and became a widower with the death of his affluent wife. The rabbi seizes the reins of history to become a key figure in the emergent Lindbergh administration despite growing opposition within the Jewish community as a whole. The Plot Against America is written and executive produced by David Simon and Ed Burns. Joe Roth, Jeffrey Kirschenbaum, Nina K. Noble, Annapurna’s Megan Ellison, Sue Naegle, and Susan Goldberg will also executive produce. Co-executive producers include Dennis Stratton and Philip Roth.